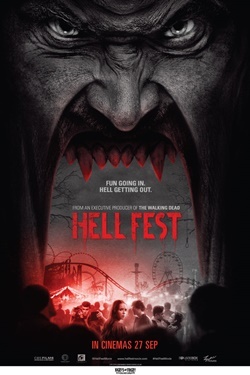 On Halloween night, a group of friends made up of three young women and their boyfriends visit a ghoulish travelling carnival called Hell Fest. There they unwittingly become the victims of a masked serial killer, who has turned the horror theme park into his personal playground. The rest of the patrons think that their torture is just part of the show.